I am currently having an all consuming love affair with Lapsang Souchong tea. 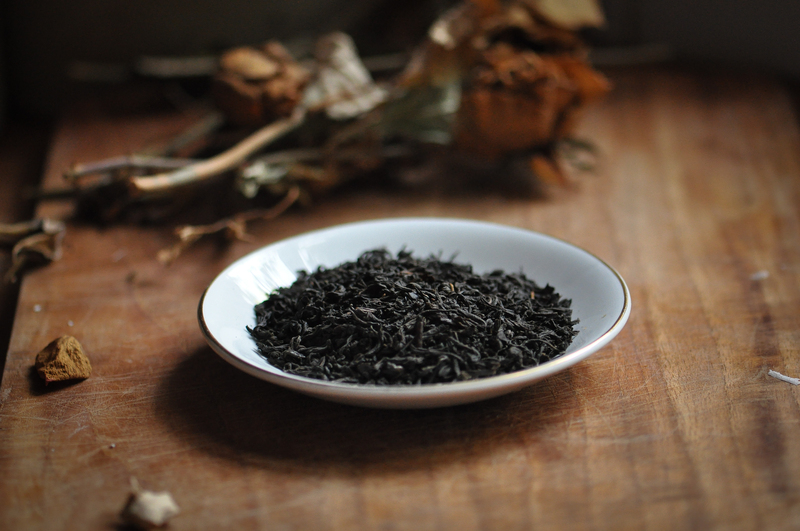 Lapsang tea is smoked over pinewood fires to give it an incredibly beautiful deep smoky flavour. The quality of tea varies massively and it really is worth spending a few quid on an excellent tea as you use it so sparingly it will last for ages. I can highly recommend St Martins Coffee in Leicester for their great tea, also Dragon Fly do a really beautiful organic tea that is worth the extra couple of quid. I have been experimenting with various smoked tea infusions for about 4 weeks now. One of my favourite quick infusions is to pop a bit of your favourite full bodied red wine into a cup and add a few long strands of tea. Let it infuse for about 30 mins then pour about a tablespoon of the smoky infused wine into a full glass. I like my red wines deep and full and the addition of a touch of smoke is perfect for a night in front of the fire and its also a really nice addition to your bonfire night mulled wine. Rum and smoked tea work really well together. 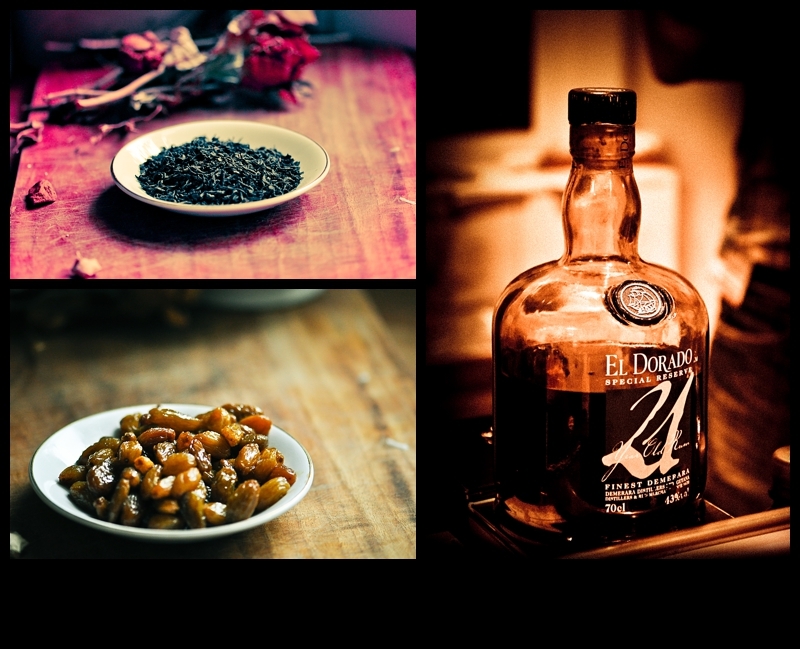 Just get a bottle of your favourite dark/golden rum and add a few strands to the bottle. I made fantastic Bonfire Night Smokey Spiced Apple Daiquiris a couple of weeks ago – bloody lovely! If you are making a smoked fish kedgeree pop a few strands in the poaching milk, it really does add a new lift to the dish. I’m currently working on a recipe for a Sheep’s Cheesecake. The sultanas have been swelling in the smoked tea rum for 2 days now and are so plump they pop when you bite them. Should be ready tomorrow to assemble. This is a really great post – such a great idea. I don’t really know anything about tea, so this was very interesting.